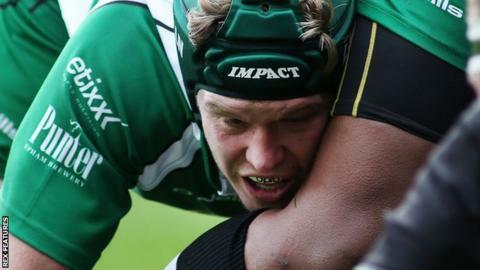 London Irish captain Luke Narraway says improving their accuracy is the missing piece to their Premiership survival. Irish fell to a 15th defeat of the league season against Sale on Saturday to leave them four points adrift at the bottom with three games left. Back row Narraway dismissed concerns at the spirit of his squad heading into the Premiership run-in. "It's the one thing I think we have in abundance, accuracy and being clinical are things we haven't," he said. "That's why we find ourselves here (at the bottom)," Narraway added. "Not because of the spirit or the want or desire not being there. "It's just that 5-10% in terms of accuracy that probably a little bit of confidence gives us," the 32-year-old former Gloucester, Perpignan and England player said. Irish face Harlequins in the quarter-finals of the European Challenge Cup at The Stoop on Saturday before their Premiership status will be determined in remaining games against Newcastle, Quins and Wasps. The fixture against fellow strugglers Newcastle at Kingston Park on 17 April has been described as "a Grand Final" by Narraway, who said: "Newcastle is huge, they're one place above us, one win above us."